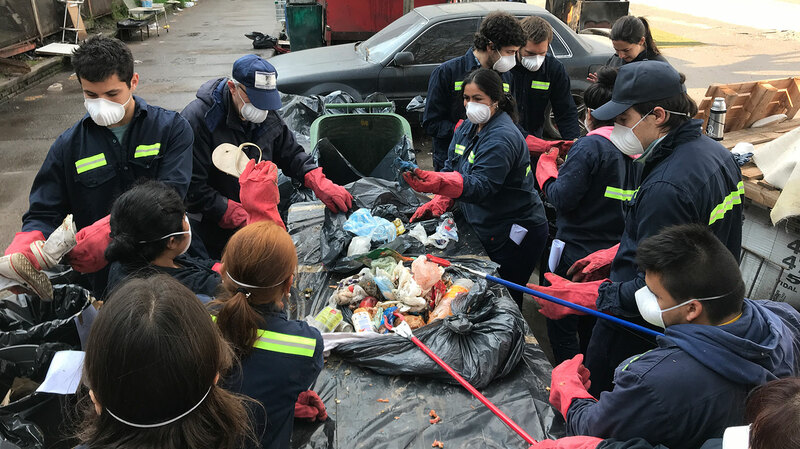 Our Buenos Aires pilot of our Rethinking Recycling initiative is the cover story of the March 2019 edition of Está Pasando Acá (“It’s Happening Here”), the magazine of the Social and Urban Integration Secretariat of the City of Buenos Aires. The city government is our partner in the project. The article celebrates the initial progress the pilot project has made since its launch in Buenos Aires’ Barrio 31 in late 2018. It profiles the two local cooperatives that are going door to door every day in the barrio to educate neighbors on the value of recycling—and collect a wide variety of recyclables. The article notes that, in the short time since its launch, the project has collected more than two metric tons of glass, and nearly 2.5 tons of paper and cardboard—as well as tins, plastic, and nylon. McKinsey.org is an incubator for new solutions to social issues. It works by applying McKinsey’s capabilities and by partnering with leaders from the private-, public- and social-sectors. McKinsey.org is a 501(c)(3) private operating foundation. Copyright ©2019 McKinsey.org. All rights reserved.